The dress is so elegant for lady. I like it! Perfect fit, great quality, beautiful in pictures! Couldn't have gotten a better dress! It was awesome! I'm so happy with my purchase. I'd been eyeing my dress for sometime at a store but couldn't afford. I found it on Uk.millybridal.org in my price range and it was shipped immediately and fit perfectly. I'd definitely order from them again. Just a quick note to let you know I received dress as ordered I have to say your service is spot on and I am delighted with the dress the quality is excellent. This dress is stunning! The colour was perfect and it was beautifully made - not a stitch out of place. My daughter is going to look fantastic. I loved it.Too small in the breast. The quality was fabulous. 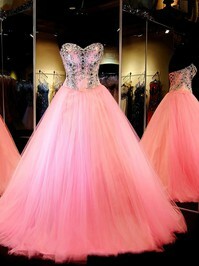 I am so amazed to see my beautiful dress. I feel myself a dancing queen in the garden of joy !